Here are some new videos of Prototype from Sierra. METAL GEAR MONDAYS: New MGO Beta Content! 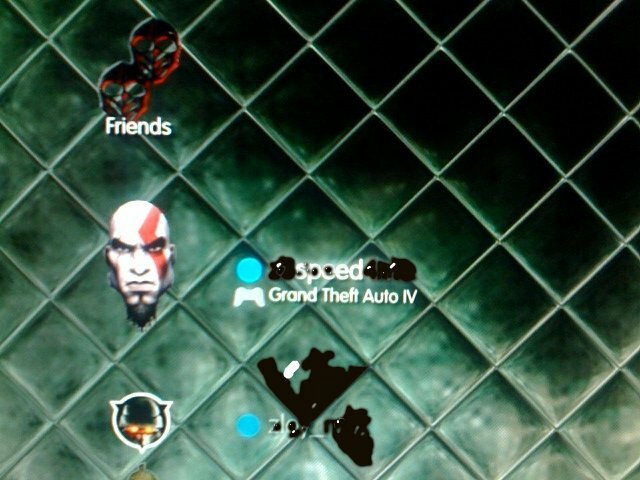 It looks like one of my PSN buddies has Grand Theft Auto 4 before the official release date. These are the kind of buddies I like. THE EYE OF JUDGMENT- FREE CARD FRIDAY! Here's what's new on the PSN Stores, from most regions, for the week ending on Thursday, April 24, 2008. THE EYE OF JUDGMENT SET 2- CARDS IN EARLY, DOWNLOAD LAUNCHES TODAY! 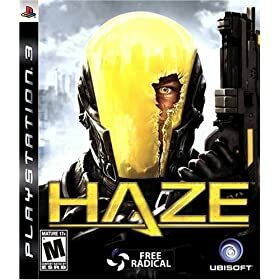 Here's a music video of "Haze" from Korn inspired by ps3's shooter Haze. You can download the mp3 here. Here are the current games that are on sale at Newegg. You can pick up the wheel designed by Polyphony and Logitech for Gran Turismo 5 and the ps3 at a discount. The Logitech Driving Force GT is currently $132.99 shipped from buy.com. The MSRP is $149.99, save $17 plus shipping. You can read more about the driving force gt from our previous post. We even gave a quick comparo against the G25 wheel. Here's a new horror title for the PS3, Siren New Translation. Here's the original plot from Forbidden Siren on the PS2. A writer moves to a remote island with his daughter and young son. After settling into their new home, a neighbor arrives to welcome them and give them a breakdown of the local rules; most important: do not go outside when the island's siren starts wailing. ALERT! Metal Gear Mondays Begin NOW on the PlayStation.Blog with Metal Gear Online Beta Details! Gran Turismo 5 Prologue Live Chat Today! Are you ready to go one pn one against Darth Vader in the Death Star? Soul Calibur IV will let you on July 29th. Here is the newest Lara Croft from Tomb Raider Underworld. She looks like a pretty Hillary Swank. You can also check out the previous versions of Lara Croft. We finally get a face to the name... Here is Grace Chen, Senior Manager of the PSN Store, explaining the new features of the updated store. The store should be live on or about April 15th worldwide. Metal Gear Solid 4: Guns of the Patriots Product Details Revealed! Here are 58 titles eligible for buy 2 blu-ray movies, get 1 free. 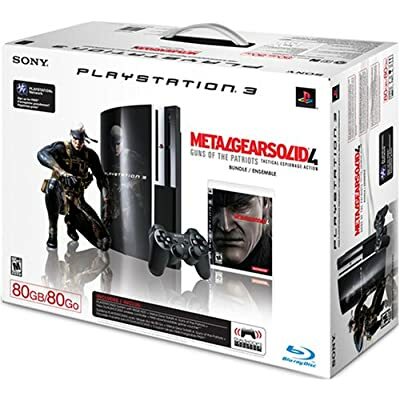 Back in February we posted that a new 80gb PS3 Metal Gear Solid Pack wasgoing to be available on June 12. Now Amazon has added the product online and has a new image of a white box. 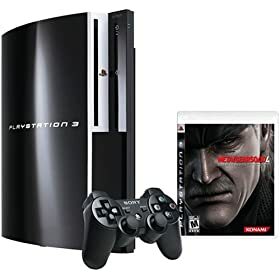 The 80gb PS3 MGS4 Pack replaces the MotorStorm Pack and is the only official option of getting a ps3 with backwards compatibility. THE EYE OF JUDGMENT: SET 2 Available April 28th! North America, Europe, Australia regions are busy sprucing up the PSN Store, so this week only Japan and Asia get new downloadables to play with. Here is the game save for the blu-ray version of Gran Turismo 5 Prologue for the EU region. Please let us know if this works on the downloaded GT5P also. The game save has all 71 cars unlocked including the Ferrari F2007. Here's a post on how to load PS3 game saves. Feel the Shock Next Week! It looks like Kojima and Jade Raymond have a nice sense of humor. Happy April Fool's Day. MS7XWDC has uploaded a Gran Turismo 5 Prologue game save for the European (PAL) region which contains the Ferrari F1 F2007 car unlocked. We cannot test it since we do not have the game yet. Use caution.